We discovered this recipe on a hot summer day. We had been talking about fish tacos and i realized I had never eaten one before, despite growing up on an island where fish was rampant! 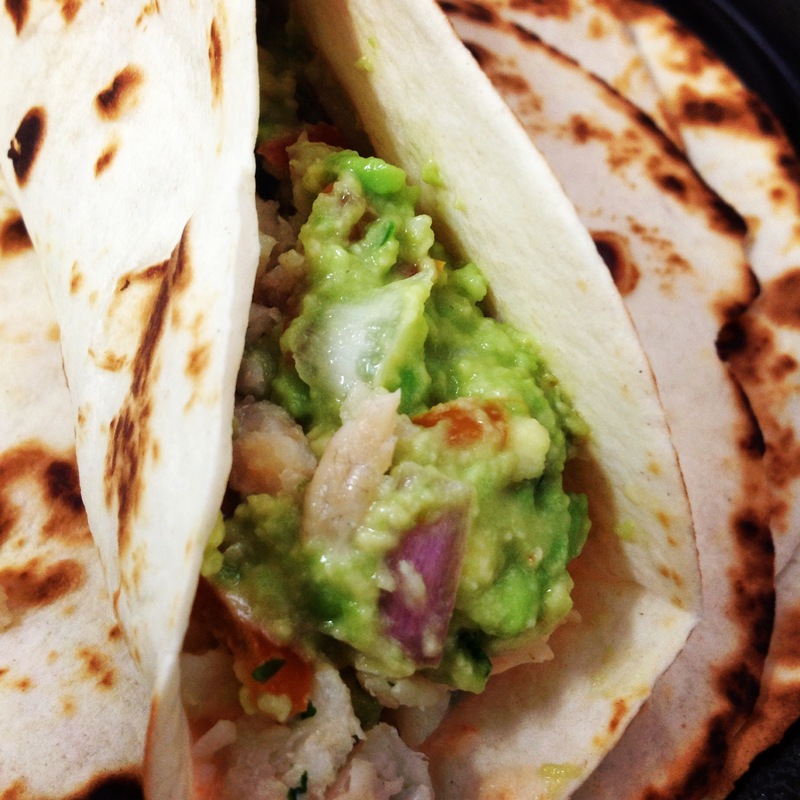 I went on a search for the perfect fish taco recipe and found this one! The title said “Epic,” that word alone had me sold! Bare with me on this post. When I told my husband he could borrow our DSLR last night, I completely forgot I’d be cooking these fish tacos today. Since the two other cameras in my house had dead batteries, I resorted to using my iPad camera. Now that you have all your ingredients, start by thawing out your fish. 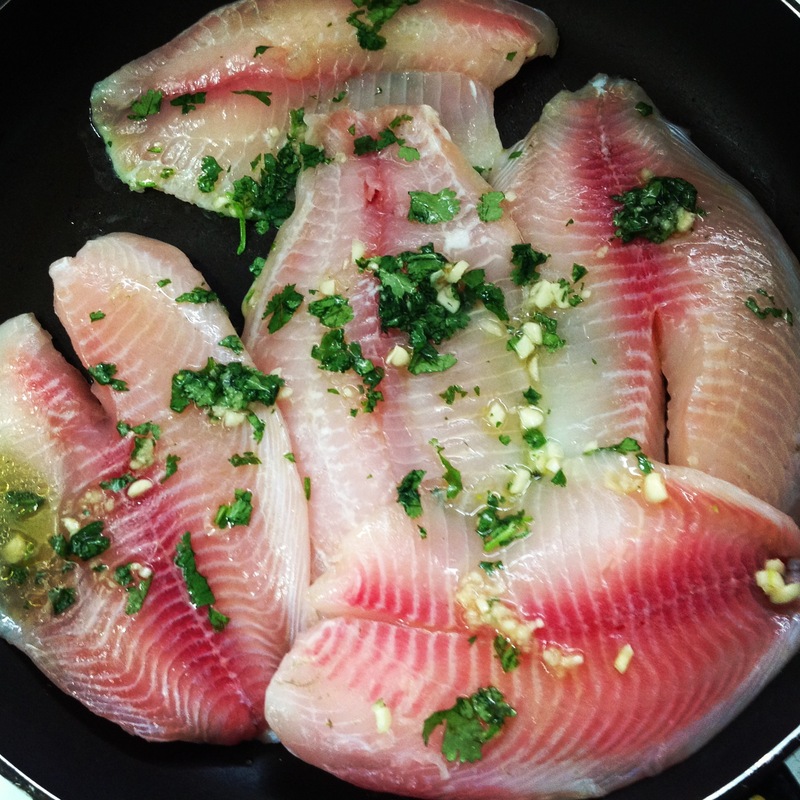 Once the fish is thawed, place it in a bowl and sprinkle it with some olive oil, lemon juice, salt and pepper. Chop up three cloves of garlic and a small bunch of cilantro. Throw that on the fish and mix it all together. Let that marinate while you prepare the rest! 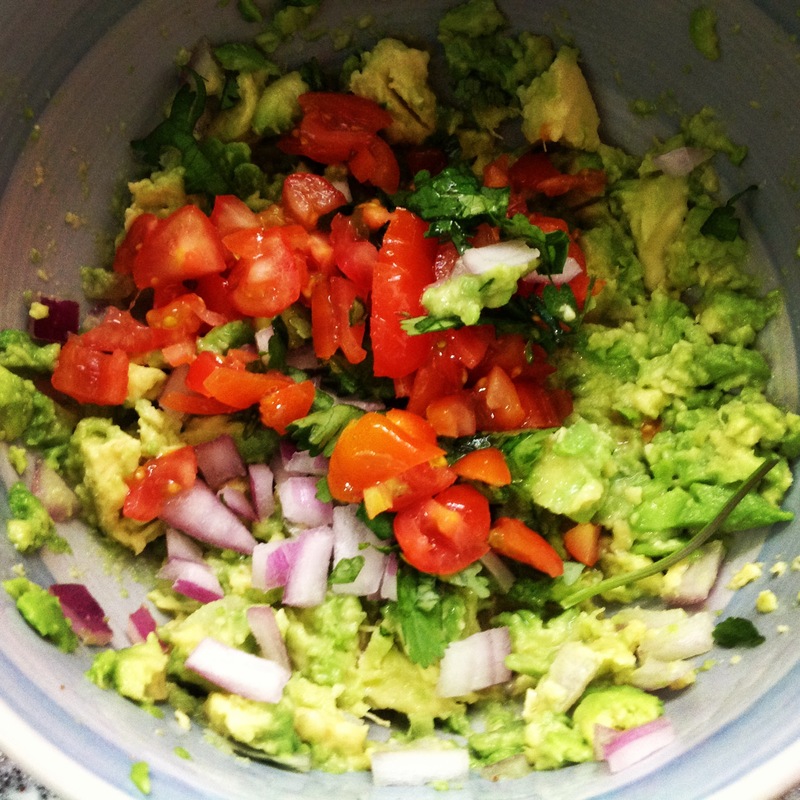 Peel your avocado(s) and place them in a bowl. I have a love/hate relationship with avocados. I love eating them, but I hate buying them. I can never find a ripe one when I want one so I’m left with ripening it in my kitchen drawer for days until it’s good enough to eat. By then I usually no longer crave avocado. It’s a sick cycle. Anyways… Grab a fork or a fancy masher if you have one and get to mashing! Add to it your cut up cherry tomatoes, chopped purple onion, small bunch of chopped cilantro, salt, pepper and a squirt of lemon juice. That’s pretty much what it’ll look like! Now mix it all together and set it aside in the fridge! Now let’s work on the Sriracha yoghurt sauce! If you don’t know Sriracha by name, I’m sure you know it from seeing it. I remember first discovering it in Pho restaurants as one of the condiments to add to it! 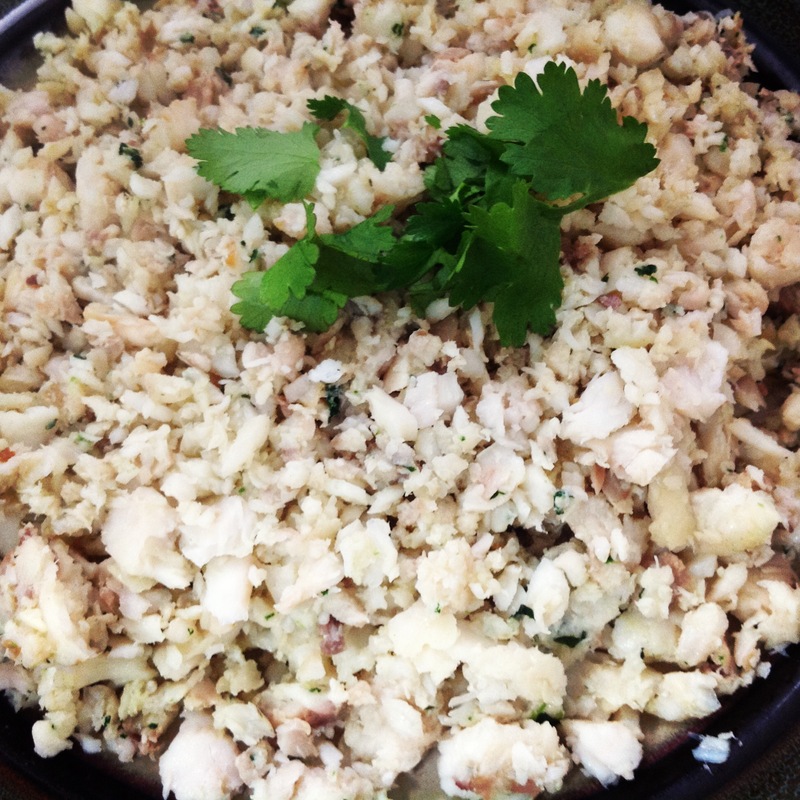 I first bought a bottle for this fish taco recipe and now keep one on hand at all times! Place your yoghurt in a small bowl. I use my sons small tupperware because it’s all I have on hand most of the time, doesn’t look fancy, but does the trick! 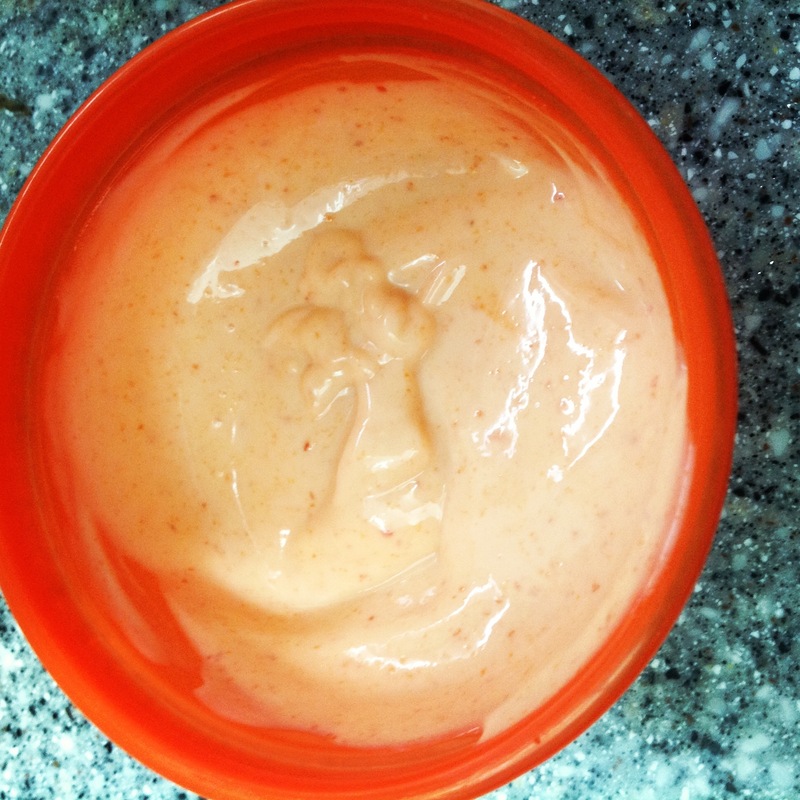 Add some squirts of Sriracha on top of the yoghurt and mix it all together. It should be a pretty light coral color once it’s ready. 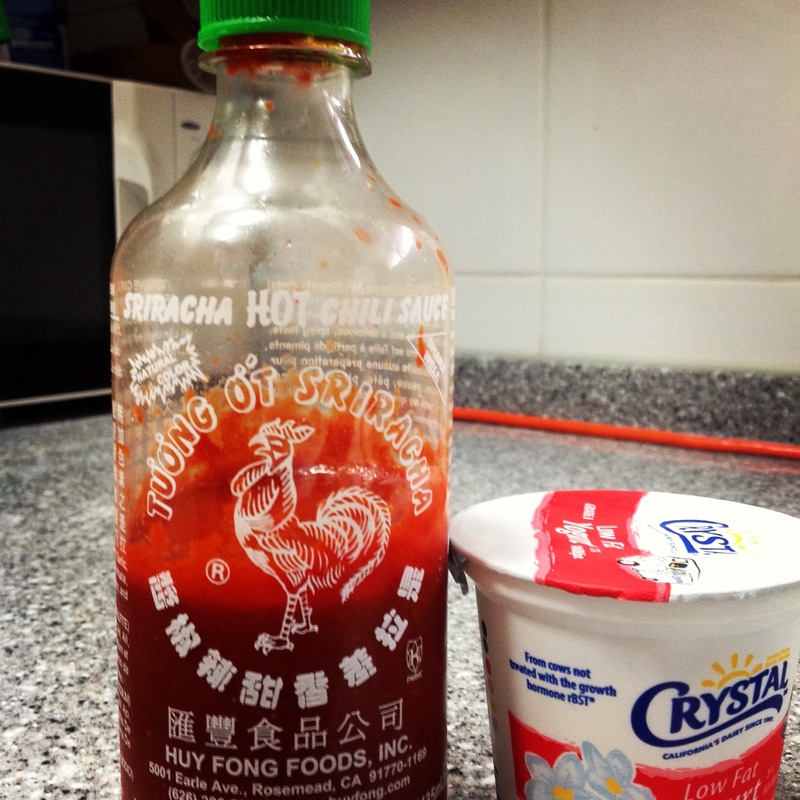 Give it a taste test, you may want to add more Sriracha to make it hotter or some more yoghurt to cool it down! Now let’s cook the fish! Heat a large frying pan. 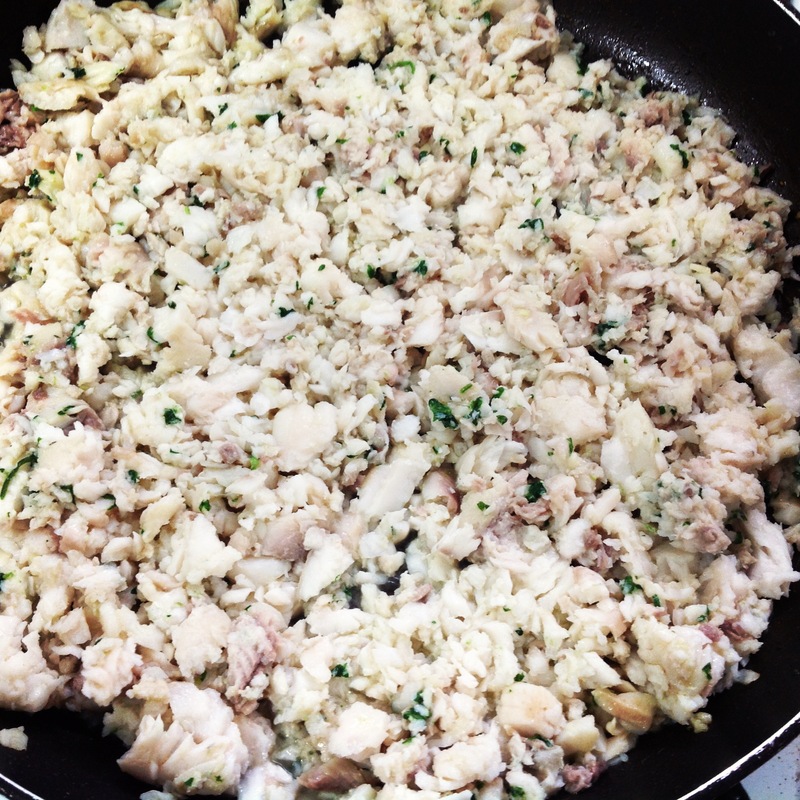 I don’t add anything to the pan in this recipe since the fish is already coated in olive oil. Place the fish on the pan and let them cook! Keep cooking! I like to raise the heat a little so the fish can get a little burnt flavor to it! Make sure to scrape the pan clean afterwards. The burnt on pieces of fish are the most flavorful ones! Heat up a small frying pan and grab your 8″ tortillas. You’re gonna want to cook them slightly on each side as to give them a crisp taste. This is what your little feast will look like once everything is ready! 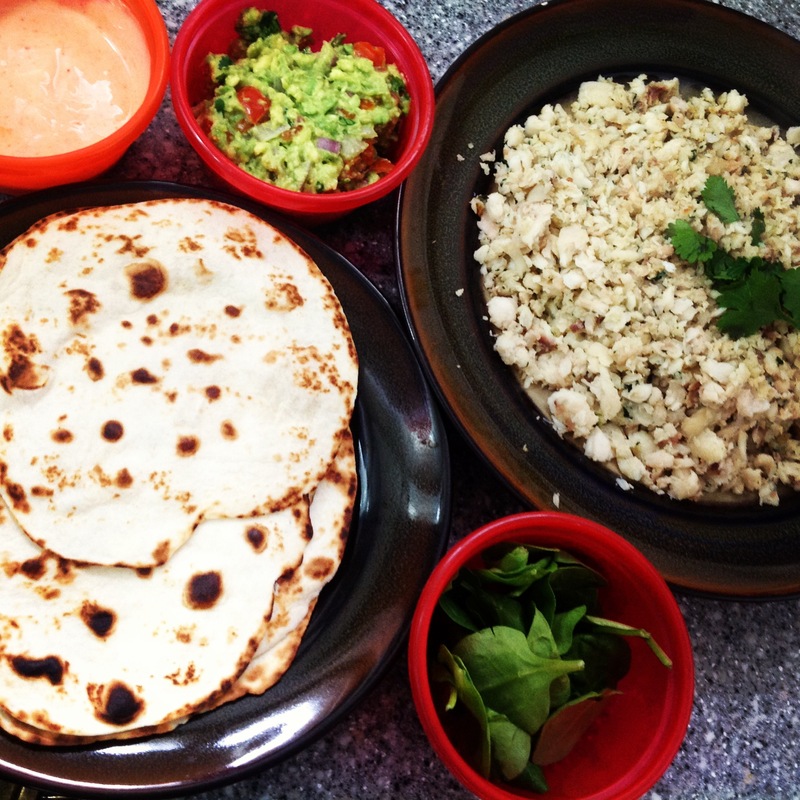 To assemble the fish tacos, start by grabbing a tortilla. Slather some of the Sriracha yoghurt sauce on it, top it with some raw spinach, layer some fish on top and then drop a dollop of guacamole on it all, serve and enjoy! Looks and sounds easy and yummy… Will try it! We enjoyed these. You didn’t indicate if the yogurt was plain or vanilla. We used vanilla but will use plain next time. I will also be more careful not to overlook the fish, it’s tricky! Looks Delish! Thanks for the idea.